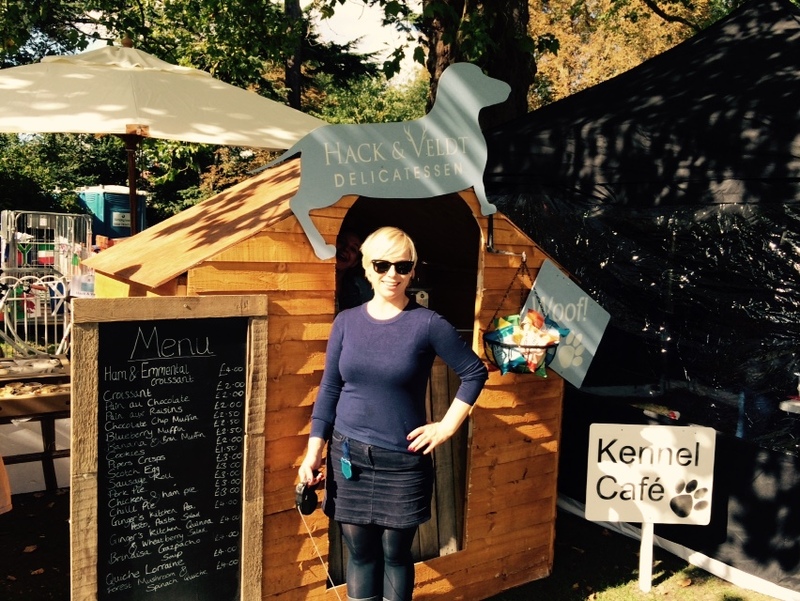 The Chiswick House Dog Show has become somewhat of a cult event in West London, attracting dog lovers and celebrities alike, who sample tasty food and drinks from top local traders whilst watching the canine antics. It came as no surprise when dog lover Maike, owner of Hack & Veldt Delicatessen, asked us to design and build a fun, Quirky Space to trade from at the Dog Show. And so the Kennel Cafe was born! Featuring a natural wood serving bar with internal shelving for stock, the three-sided structure allows staff access from the rear, with service taking plan through the doggy door at the front. With a dog bowl for canine customers available, the Kennel Cafe was a huge hit, and it certainly stood out from the crowd. 'Best in Show'? We think so! WOOF! Commission your own Quirky bar or stand for events, shows or exhibitions to make sure that you attract a crowd - click here for more details.